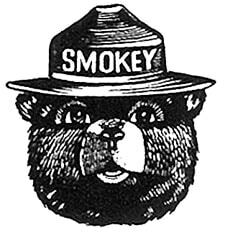 Growing up, I learned about Smokey the Bear and how “Only you can prevent wildfires.” Smokey talks about being aware and mindful of your environment when preparing, using, and extinguishing campfires. And just like vigilance in the woods can help prevent a destructive fire, being prepared at home can help protect your home and belongings from fire. 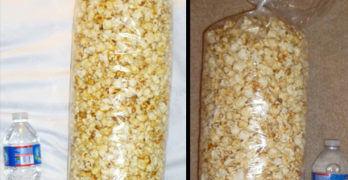 Kitchen fires are one of the main causes of home fires in the US. Make sure you have at least one fire extinguisher in every kitchen area, the garage, and anywhere else you might store flammable or hazardous materials. It’s a good idea to have a “path of extinguishers” to help your family escape safely if needed. Familiarize yourself with how to use a fire extinguisher, the different types of extinguishers, and when to use one. You can also contact your local fire department to see if they offer training on how to properly use a fire extinguisher. Having a smoke alarm properly installed and maintained will not only offer an early warning system for fire, but also reduces the risk of deaths caused by fires. 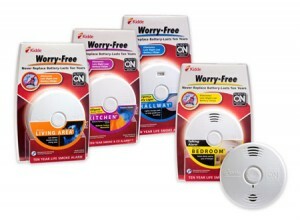 It’s recommended that there’s a smoke alarm on every floor at a minimum, as well as in hallways and inside bedrooms. The idea is to make sure you and your family can hear the alarm wherever you are in the house, so more is more in this case. Installing a smoke alarm is half the battle. Make sure that your smoke alarm / fire detector is in working order. Test your alarm monthly and replace the batteries regularly (if needed). Smoke alarms have a “lifespan” of about 10 years, so keep that in mind if you’re in a house with older alarms. Many of us have important documents or cherished items that simply cannot be replaced. If you need to evacuate your home quickly, you might not remember to, or have the time to, gather up the things you want to save. One great options is to keep important documents and keepsakes in a fireproof safe, such as the Sentry Safe 1200 Pink Fire Chest. 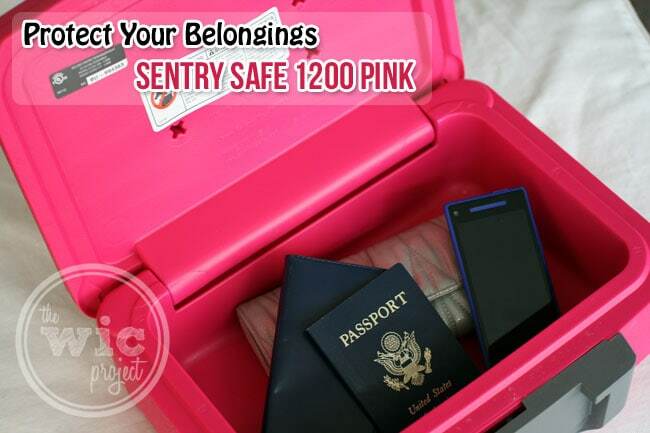 Small and light enough for you to carry using the handle, the SentrySafe 1200 Pink Fire Safe is the perfect place to store family photos, passports, jewelry, and other items you want to keep safe from curious kids, thieves, and fires. 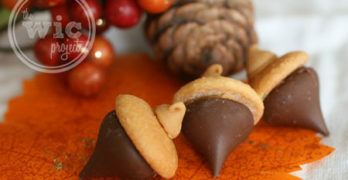 It’s compact size allows you to keep it in a drawer or on a shelf. Close the lid, lock it with one of the two keys it comes with, and everything inside is protected from fire damage*. 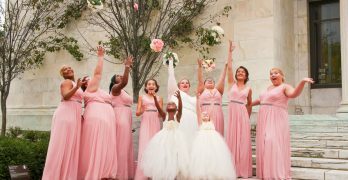 The bright pink color not only says “Hey! I’m Miriam’s”, but can also help you spot it quickly if you’re in a rush or if there isn’t a lot of light. I’m currently using my safe to store check books, passports, and some other important items. For a compact and portable safe, it has quite a bit of storage space. It doesn’t quite fit an 8.5″x11″ flat, but letter-sized pages will fit with a slight bend or if you fold them in half. If you have family photos or small mementos, those would fit in here easily as well. If you want to be really prepared, you can store your wallets, purses, or even car keys in the fire safe instead of tossing everything onto the counter or side table. You can purchase the Sentry Safe 1200 Pink Fire Chest online from Amazon for just $23.59 – a great price for peace of mind, IMO. Even better is that sales of this special edition pink fire safe support Breast Cancer Awareness. For every Sentry Safe 1200 Pink Fire Chest sold, SentrySafe will donate $1.00 to The Breast Cancer Research Foundation® up to $25,000. Protect your memories and valuables from fire with the Sentry Safe 1200 Pink Fire Chest and support a great cause at the same time. SentrySafe also offers larger capacity fire safes, waterproof safes, and other safe options to fit your fire-safety needs. That is a cute firesafe! We have a larger one, but there is no way I would even try to carry it out, it weighs a ton! We keep putting off getting a fire safe, but I think its time! 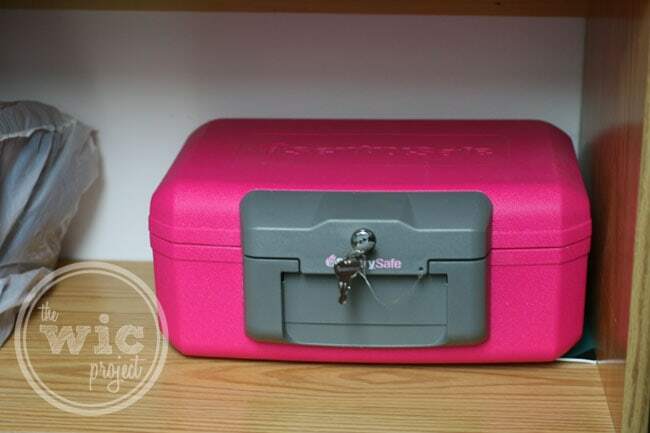 I need a safe for our documents and since this one is PINK I might just have to look for it now. I have a safe that is similar for some documents but I have scanned them and keep them on a flashdrive in my keyring. You never know. we recently got a fire safe and makes me feel so much better! I have a Sentry fire safe. It makes me feel a lot better having my valuables safe from a fire. I llike the pink lock box, I keep a small fireproof safe in the house for those special documents. Great tips to take to ensure fire safety and to keep your most prized possessions safe as well! This is a great reminder for me to check the smoke alarms! The fire safe is a nice choice! I’ll have to keep it in mind when we get a new one.